With so many things to pay for these days, it’s easy to overlook necessities such as car and boiler servicing, when there isn’t a problem staring you straight in the face. 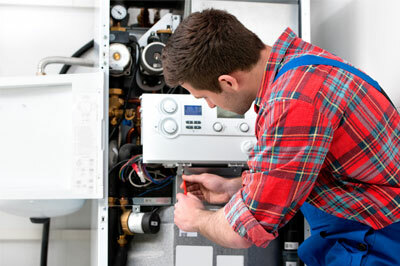 In the height of summer, getting your boiler serviced might be the last thing on your mind. But once the cold weather sets in and it’s vital for having hot water and heating in your home, this is when breakdowns can often occur. The last thing you want is to be left freezing in winter and this is the reason why you should get your boiler serviced annually. Sometimes boiler problems can occur as a result of inactivity, so a good time to get it serviced might be in the months after the summer to identify issues before they become serious and lead to costly replacement or repairs. Other benefits of boiler servicing include peace of mind that you’ve done everything you can to protect your family from the risk of gas leaks and carbon monoxide poisoning, as servicing will help make your boiler safer over all. You’ll also minimise the risk of breakdowns, which are not only costly, but will often happen at the time when you need your boiler most. Other benefits include lower emissions, making for a better environment and you will also prolong the life of your boiler. This is because, not only will a certified Gas Safe registered engineer discover faults before they become serious, but he or she will also be able to do other vital checks, such as to assess the components to ensure they’re all working correctly, inspect the flue for obstructions and clean the inside casings. If you think you might need a service or even a repair click here to see the main 4 warning signs that your boiler is on its way out. Another reason to ensure a yearly boiler service is to make sure you stay in warranty, either for the boiler itself, or that you have satisfied the terms of your home insurance, should you need to make a claim for a new boiler. If this is the case, then the home insurance company will require service records to honour your claim. As well as regular annual servicing, there are a few tricks you can use to ensure good maintenance of your boiler. For example, give it a little check every couple of months when it’s not in regular use to see it’s still working properly. Also for added safety, always ensure there is a working carbon monoxide detector in your home. Book Your Loughborough Boiler Service Today! If it’s about time you had a boiler service, don’t wait for it to break down before you do something about it. Book your Loughborough boiler service in with our Gas Safe registered engineers today. This entry was posted in Boiler Installations on November 25, 2016 by Dean Oram.